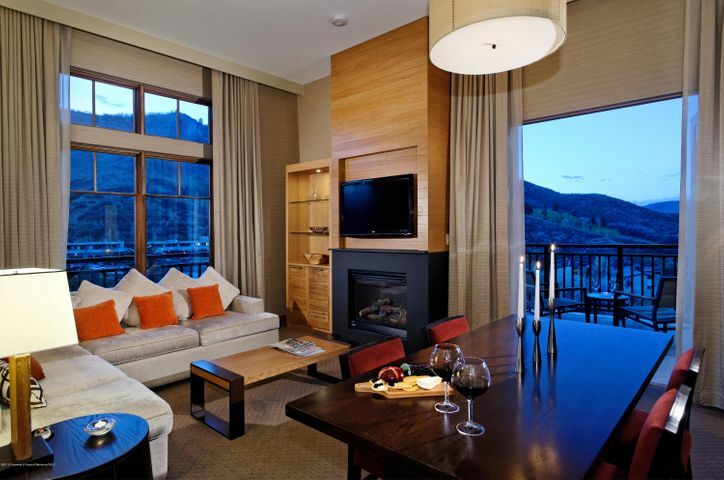 Stunning Viceroy condo for sale in Snowmass Village, CO | Aspen Snowmass Real Estate :: McKinley Real Estate Sales, Inc. Possibly the nicest three bedroom unit at the Viceroy…Fantastic layout with the third bedroom as a lock-off. Enjoy the full three bedrooms or mix and match to suit your occupancy needs. Highly sought after in the Snowmass real estate market, this premium Viceroy unit has views of Assay Hill and 11 foot floor to ceiling windows. Multiple gas fireplaces add to the cozy feel. Amenities include ski in/out access, valet service, slope side pool, two restaurants, and a first class spa and exercise facility. Well located on the main floor, just a short walk from the front desk and the dining room and bar.